Did you know mental illnesses may begin with your gut? It’s true! Gut bacteria plays just as large a role, in mind “health,” as the brain! With proper intake of food, the gut can resist stress and other mood disorders (such as depression and anxiety). WHAT IS KNOWN AS THE MOST COMMON MENTAL ILLNESS IN THE UNITED STATES? The answer is A! Taking a simple prebiotic and probiotic may prevent the development of a common mental illnesses, such as anxiety disorders. WHAT CAN CAUSE POOR GUT BACTERIA? Antibiotics- Talk with your physician to see if there are any alternatives. Diet- It is important to to stay away from saturated fats and foods high in sugar. Whole grains, fruits and vegetables should be plentiful in one’s standard diet. High levels of stress- Meditation, yoga, and deep breathing exercises can all achieve lower stress. 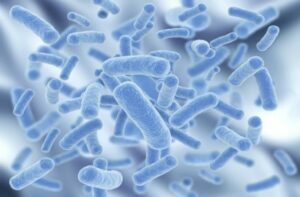 AT WHAT AGE IS GUT BACTERIA MOST INFLUENTIAL ON THE BRAIN? Adolescence! The brain is undergoing major changes in connectivity and processes, so keeping the gut healthy is very important. Consuming probiotics during puberty can improve one’s mood and cognition (such as learning and memory). Probiotics are the most effective “SMART DRUG.” Having a healthy gut will, in turn, allow for a healthier brain. The benefits are endless-so what are you waiting for?! *Marano, Hara E. (2017, May). A Bug in the System. Psychology Today, 31-32.